The colors are pretty true to the picture, maybe slightly lighter than I expected, but still nice. 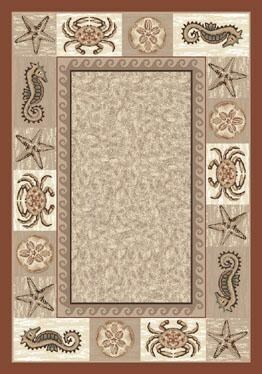 I was hoping the rugs would be a little thicker, but for the price, they are very nice and made well. They add a nice amount of beach theme to our room without being too busy. We bought it for our dining room and it brings out all the colors in the room. It is good quality and cleans easily The enhancement is great.